LED source:36 pcs 12W Tianxin RGBW 4 in1 high MCD LEDs. 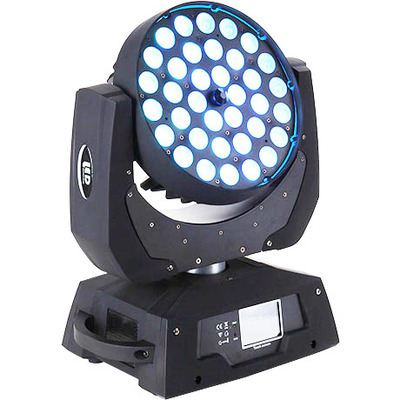 Operational modes: DMX512,Master/Slave,Auto run\Sound Active. Fan cooled, Shutter: Pulse effect; random strobe slow to fast. Stepper motors with micro stepping.